We have our initial eight players signed up and ready to go for the season. We are still accepting players all throughout the Qualifying Round but participating in the game draft is currently closed. For everyone participating in this season please email me your three selected games as outlined in the game drafts area under the league rules. You are basically just picking three different games; however, there is a number of systems to make your selections from. Speaking of systems let’s take a look at the hardware that will make this tournament possible. First off all games, unless needed to for an extenuating circumstance, run on a Raspberry pi3 running Retropie, a linux distribution built around Emulation Station and the Retroarch emulators with libretro cores. In most cases I used the standard recommended cores with a focus on the most accurate libretro cores available. A few notable entries is I use the MAME 2003 romset and lr-mame2003 core for Arcade games and the Final Burn Alpha core for Neo Geo titles. To better emulate the scanlines, bloom, shadows, and curvature of CRTs all libretro cores use crt-pi-curvature.glslp and crt-pi-curvature-vertical.glslp shaders as appropriate for the game’s orientation. However the system itself isn’t any use without anything to control it. All the controls used in Old-schooled are original system hardware that has been cleaned and refurbished by myself and each video game system is tied to its specific controller. In some cases similar controls are used for different systems. For example the NES controller handles NES as well as Gameboy, Atari 7800, Sega Master System, and TurboGrafix16 systems. Here are the controllers you’ll be using for the league. All controllers come in matched sets of two. Four player games are technically supported but they use another system’s controller for controller 3 and 4. Keen eyed readers might notice that every system on the system list is there. Generally it’s because it’s more obscure. The most appropriate controller for the system will be assigned before your trial. 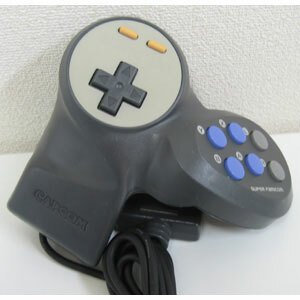 The Super Famicom pad may be substituted for a Capcom Soldier pad for SNES. Also details on Best Electronic’s upgrade of the CX40 PCB can be found here.